Here are some photos I took recently while at the Romanian Black Sea coast while I was there on holidays (it is about 12 hours south east of where I live in Romania). 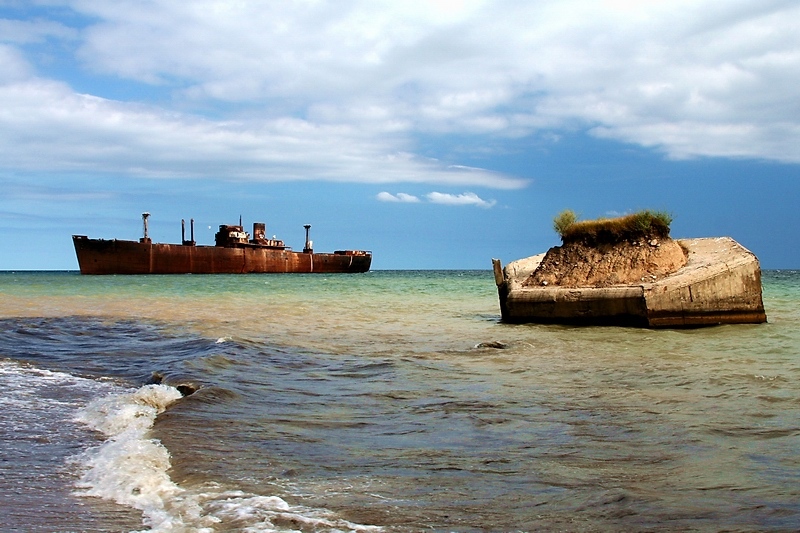 There is an old rusted ship (wreck) which is at the Costinesti beach. 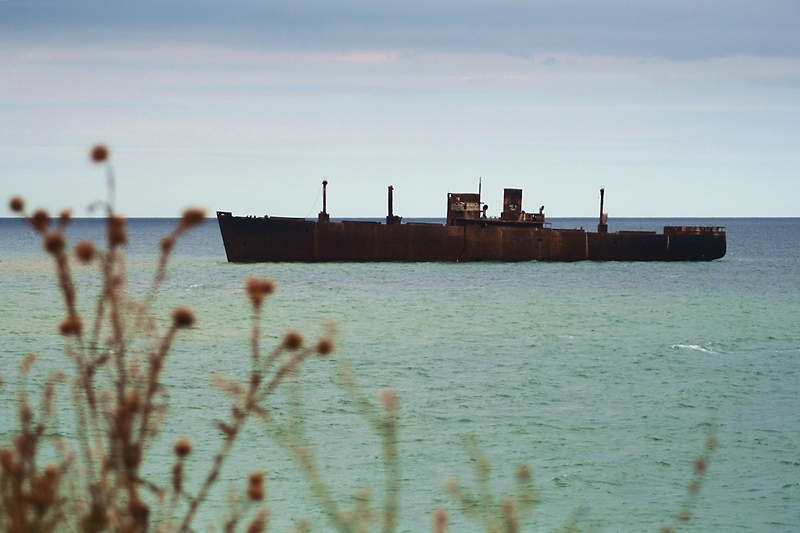 It is an impressive sight, as it's quite close to the shore (at one less used end of the beach) and the sun and changing light conditions catch the rust colours in interesting ways. I guess the ship must be over 100m long and about 15m wide (from a guess... I haven't been on it, but there were some people who got aboard it while I was photographing it.. I could see them at 300mm with my zoom lens). I have no idea how old the ship is though or anything of it's history, just that it's been there for several years I guess (and it has a huge crack in one side). #1 - a persepctive with some concrete structure that's in the water... balancing the photo I feel (I love the sky in this photo... thanks also to my polarizing filter). Frame #1 and hang it where everyone can see it - outstanding! Thanks for your quick and most generous compliments. In the end I think the first photo is also my personal favourite of the 3, the sky and lighting just are superior. The second one especially, which is my fave for its symbolic elements, has a great potential and calls for some subsequent shots. In it, I would like to see a composition at which the cross falls on the shipwreck (or does it sound a bit too cute???) The third one on the other hand has a great DOF, which again could have been applied for the second one. These suggestions could be managed at PS. but would require some tiring workmanship of course! Thanks for these inspiring shots Paul.. I don't consider the Black Sea too rough... but then again I was born on an island (Tasmania) which has the influences of 3 oceans around it (Southern, Pacific and Indian) and a Strait (Bass Strait) notorious as one wild stretch of water! The largest waves I've seen at the Black Sea (and even the locals told me they were LARGE) were mere "medium" in my opinion compared to the waves I've seen elsewhere. Still for a sea I guess it's not too bad! Oceans will always be more temperamental! 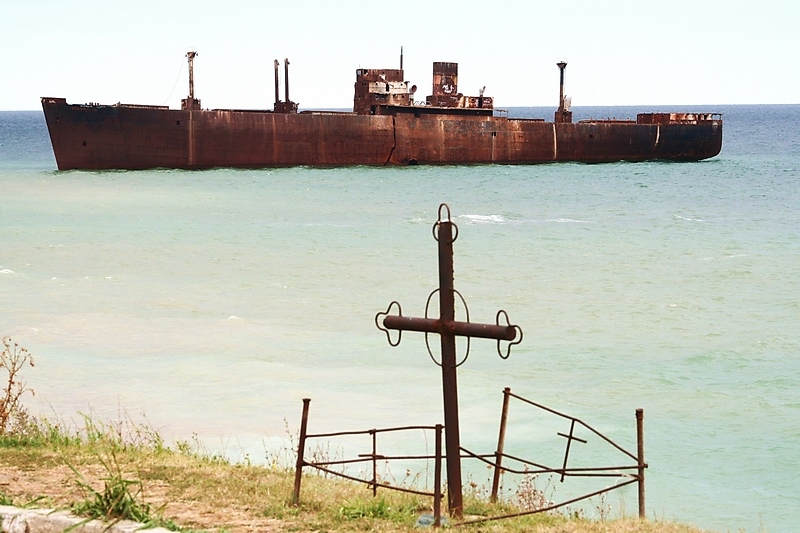 Indeed the second photo (cross and ship, both rusted) calls for more shots. Bad sadly I was in a hurry and weather was quite bland at that particular minute I had to photograph it. And sadly, that area is about 12 hours away from where I live! Your idea to photograph the cross intersecting with the ship is a good one. 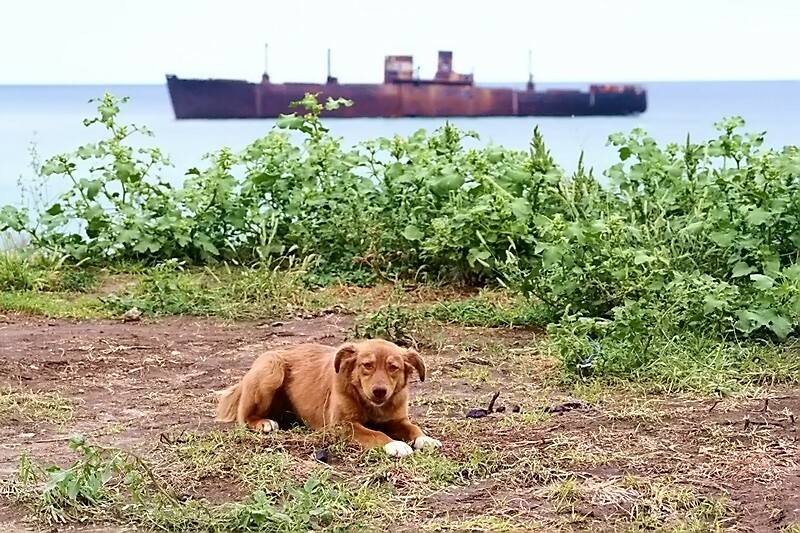 Yes, the third photo (of the dog) has a nice DOF I agree. I don't have the time (or discipline) at the moment to attempt a PS edit... but here is my final composition in the shipwreck series from that day... hope you'll like it. or maybe this crop is an even better version?